Polish veterans were profoundly shocked to find young people in the UK asking whether Poland fought alongside Nazi Germany in WW2. 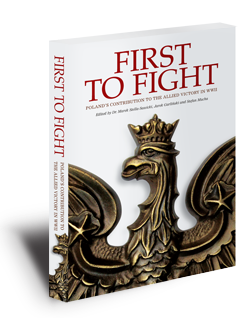 To ensure that Poland’s contribution to Britain’s war effort is remembered a new book 'First to Fight' is being launched today, ahead of the dedication of the first national memorial to Polish Forces in the UK later this month. 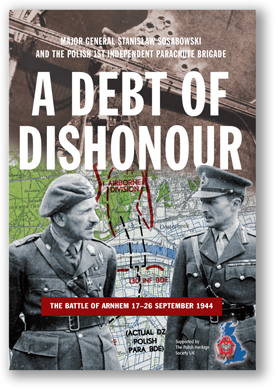 “Today, as we mark the 70th anniversary of the invasion of Poland and the subsequent outbreak of World War II, we remember the unique contribution of the Polish armed forces towards the freedom of Britain, of Europe and indeed of the world. Poland fought alongside us from the first day of the war to the last. Her people showed extraordinary bravery: many giving their lives as the ultimate sacrifice. But the freedoms for which they fought were to be cruelly denied them in the post-war world. Those who remained in exile could only look on as a new wave of oppression engulfed their country. Some would never achieve their heart-felt goal of returning to their homeland. But, finally, after more than four decades under communist tyranny, the people of Poland were able to set their own destiny. Left to right: Dr. Marek Stella-Sawicki, project committee chairman, Robert Sobociński, Sculptor and Dr. Andrzej Meeson-Kielanowski, project deputy chairman. To commemorate members of the Polish Armed Forces killed in WWII, a major war memorial sculpted by the famous artist, Robert Sobociński, has been commissioned. Robert Sobocinski, a Polish sculptor, has exhibited in Paris, Nancy, Poznan, Strassburg, Warsaw, Hannover and Normandy. The monument will be erected in the in National Memorial Arboretum Alrewas, Staffordshire, a site dedicated to the memory of all fallen servicemen and women from WWI, WWII and all other conflicts of the 20th century. The unveiling is planned for September 2009, to coincide with the 70th anniversary of the outbreak of WWII. The National Memorial Arboretum contains 130 major war memorials, yet none is dedicated to the Poles killed in WWII.